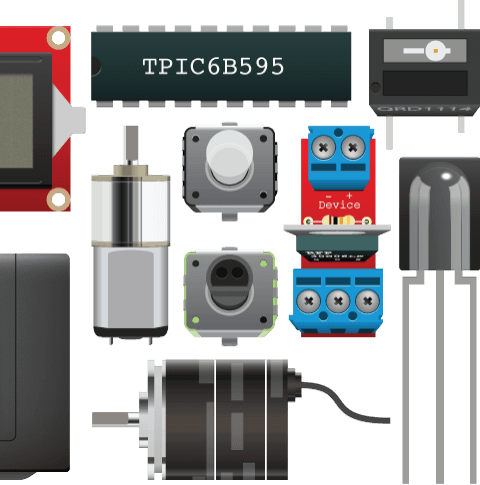 In its simplest form, bildr is a site that documents electronics for a nontechnical audience. The way it does this is what makes it truly special. bildr's articles are not only written to be understood by artists and designers, but its articles are also specifically designed so that they can be combined, allowing readers to build very complex interactive objects with minimal engineering knowledge. Typically DIY sites focus on showcasing individuals' projects. The documentation yield from this is monumental, but it creates a huge amount of redundancy, and really only helps others wanting to create derivative works. Often a user will spend time trying to remove unwanted portions of another project in hopes to make it fit their needs. But bildr focuses on documenting individual parts in a modular fashion so users can pick and choose the only parts they need. Each bildr article is written so that if you connect everything as shown in the illustration and copy the supplied code it will work. Simple as that. 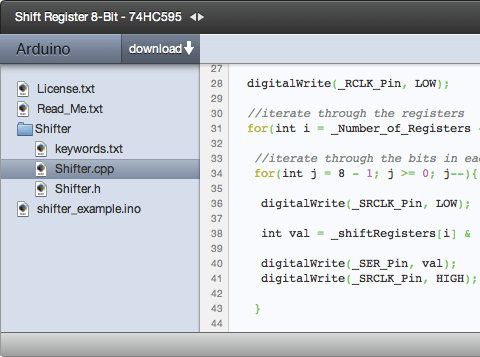 But as simple as the idea is, displaying code on a blog isn't that simple, especially when that code is multiple files. To make everything as absolutely simple for the users as possible, I designed and built a custom code display that allows users to view syntax highlighted versions of all the embedded files, and even download a zip file of the code example. See bildr Code for more information. Concept video of the initial bildr concept.